Battling cat obesity can be hard. This is especially true if your cat has slowly gained weight due to a sedate indoor lifestyle and now decides to whine and act up if you try and decrease her food. 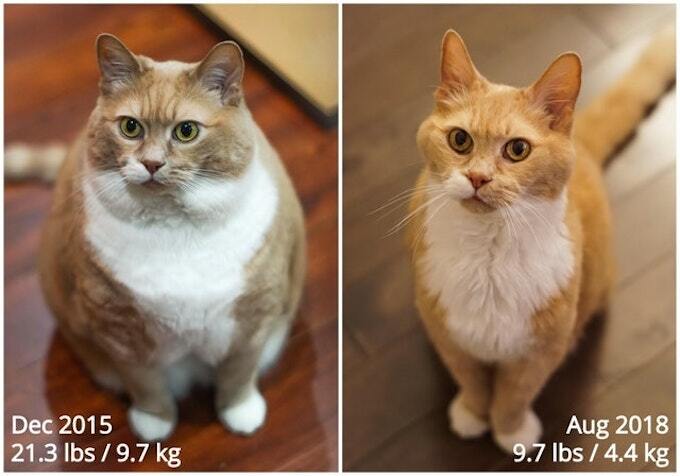 But a before and after picture posted to Reddit shows that with a little patience and perseverance cat obesity can be tackled successfully. The cat in question is called Kato and he was adopted as a rescue a couple of years ago. As you can see from the photo below, back in December of 2015, Kato weighed in at a whopping 21 pounds. Fast forward to August of 2018, however, and Kato’s slimmed down to just under a trim ten pounds. Not bad going for an indoor cat. If Kato’s before and after pictures have inspired you to begin tackling your own instance of cat obesity, check out our guide to understanding the issues and getting started on putting your cat on a healthier eating regime. 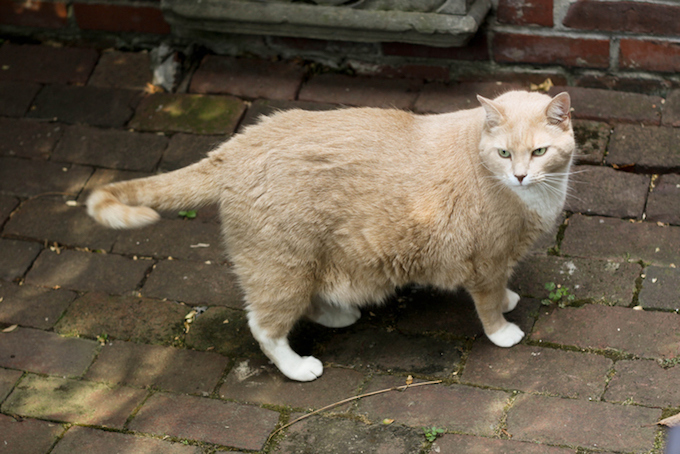 Have you helped your cat lose weight? We’d love to hear your methods and tactics and see pics of your sweet kitty before and after.